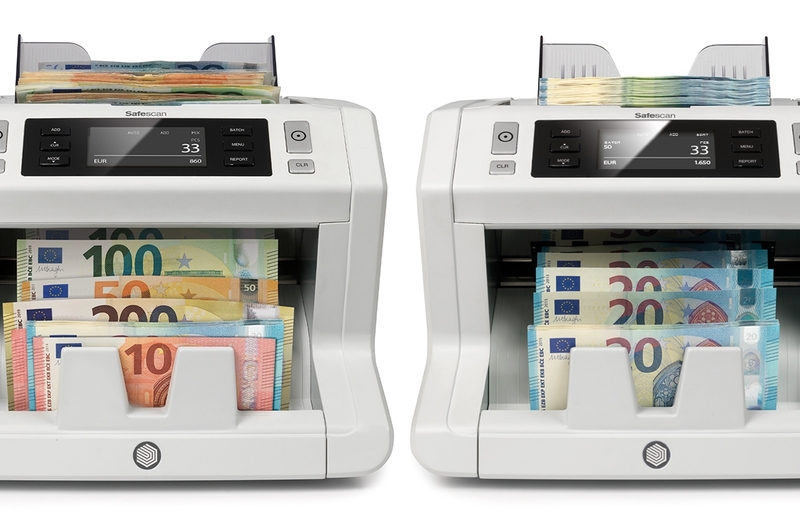 HOW DO SAFESCAN’S BANKNOTE COUNTERS WORK? 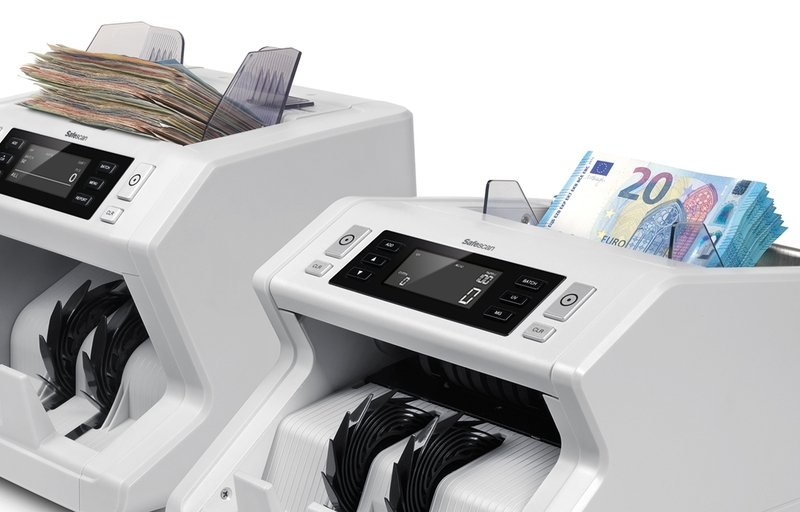 Safescan offers automated banknote counters to meet a range of needs, from making your end-of-day routine faster and error-free up through bill batching and counterfeit detection. How do they do it? Let’s take a look under the hood. WHAT FEATURES DO TODAY’S BANKNOTE COUNTERS HAVE? At one end of the spectrum, you have counters that just tell you how many pieces of paper you’ve fed them—but a whole lot faster than you could have counted them by hand (and without miscounting). As you move up, you get to bill counters that automate more of the cash-counting process for you. 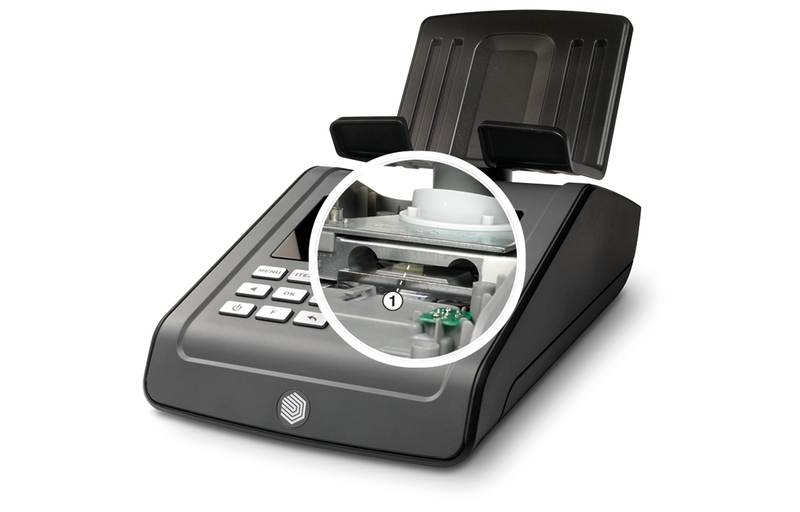 For example, all the bill counters in Safescan’s 2200 and 2600 series come standard with an add function that lets you sum up the number of bills over multiple stacks, and with a batch function that speeds up till and bank deposit processing by pausing after a certain number of notes have been counted. At the far end of the spectrum, you have sophisticated counters such as the Safescan 2685-S, which perform advanced counterfeit detection and value-count even mixed stacks of bills. HOW DOES A BANKNOTE COUNTER COUNT BILLS ? When you place a stack of banknotes in the counter’s hopper, the bottom note activates a feed-in roller. 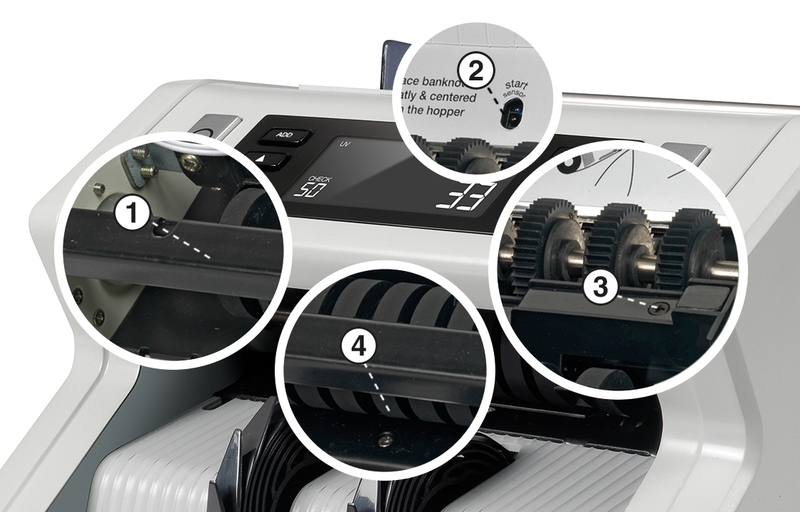 As the roller rotates, it feeds the bottom banknote to a second roller rotating at a faster speed. Low-friction flanges on each side of this second roller make sure only one bill gets fed in at a time. Next, fanning wheels separate the notes before they pass by an optical sensor that tallies each one (and, depending on the machine’s features, its value). The counted bills then fall neatly into the output stacker on the front of the machine. WHAT’S THE DIFFERENCE BETWEEN FRONT- AND BACK-LOADING MACHINES? 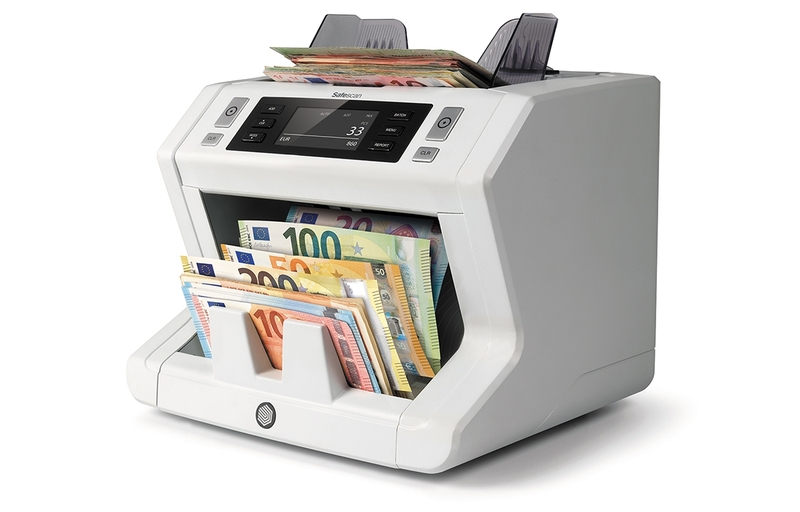 In both systems, the hopper where you place banknotes to be counted is located on top of the machine. The difference is that in a front-loader, you place the stack of bills horizontally (flat); in a back-loader, you place the stack vertically (on its side). This difference is also what lets you keep adding bills to the stack as a front-loading machine runs, which can increase your processing speed if you have a lot of bills to count. HOW DO BANKNOTE COUNTERS DETECT COUNTERFEIT BILLS? DO YOU HAVE TO SORT THE BANKNOTES BEFORE YOU COUNT THEM? That depends on the particular counter, and the features you’ve enabled. Every banknote counter can count sorted notes using an optical sensor that tallies bills as they pass by, but to count mixed notes—a stack of bills that contains ones, fives, tens, and twenties, say—the device must be able to recognize the different denominations while it counts. (All the bills do have to be the same currency.) 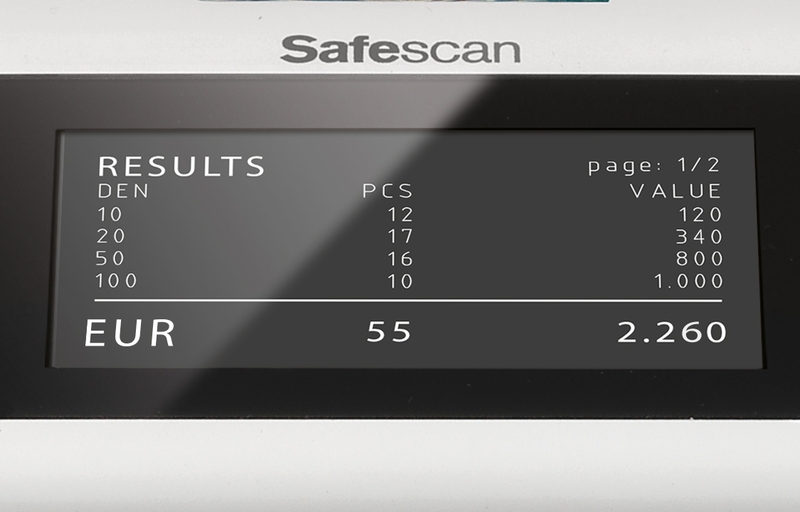 Advanced counters like the Safescan 2665-S and 2685-S can tally up every denomination in the stack in a single pass, which saves a huge amount of time compared to sorting the bills first yourself. HOW DOES WEIGHT-BASED BILL COUNTING WORK?